1. 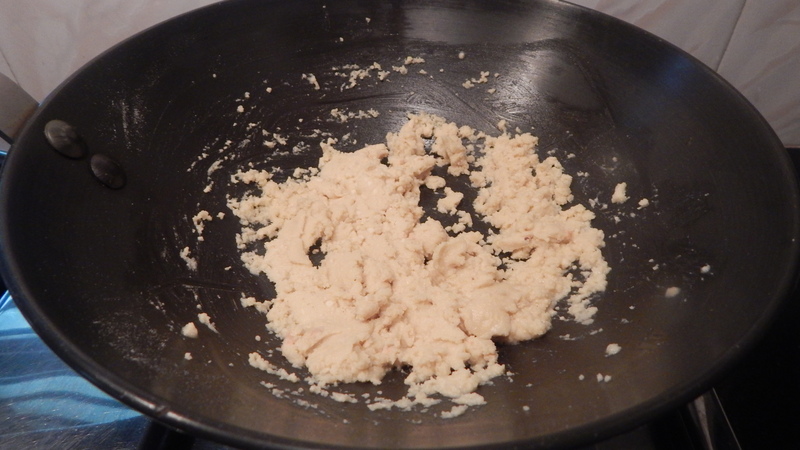 Place a skillet with 1 teaspoon of pure ghee in it. When melts add medium poha to it and roast it till it is wilted and you get a pleasant aroma. On cooling just crush it with your hands. 2. 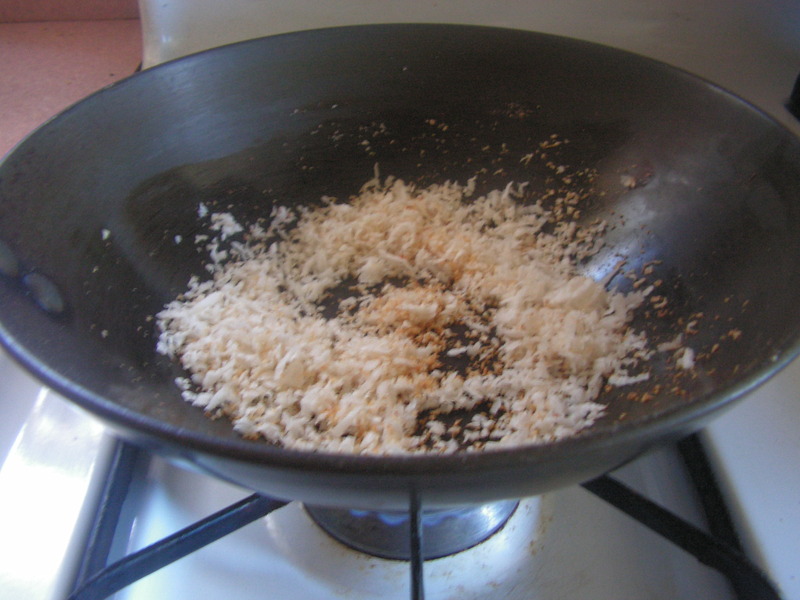 Dry roast grated coconut in a skillet till it turns a little dry but is not burnt and you get a pleasant aroma. 3. 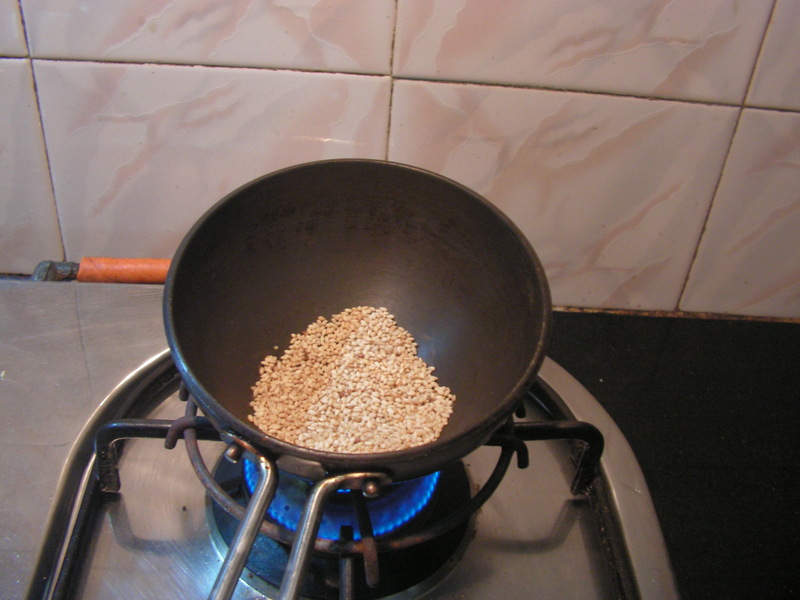 Wash and dry roast sesame seeds in a spatula till it. 4. 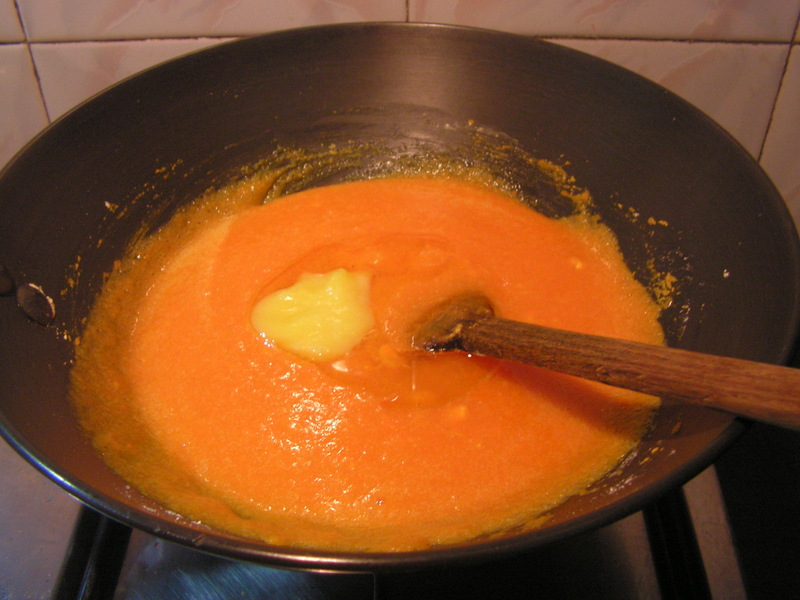 Place a spatula with 1 teaspoon pure ghee in it. 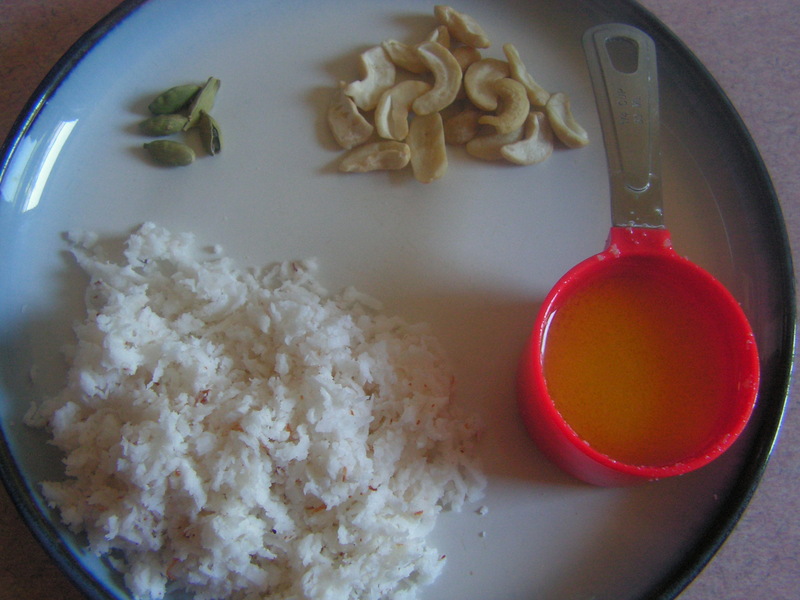 When it melts add chopped cashews and fry till light brown and crispy. 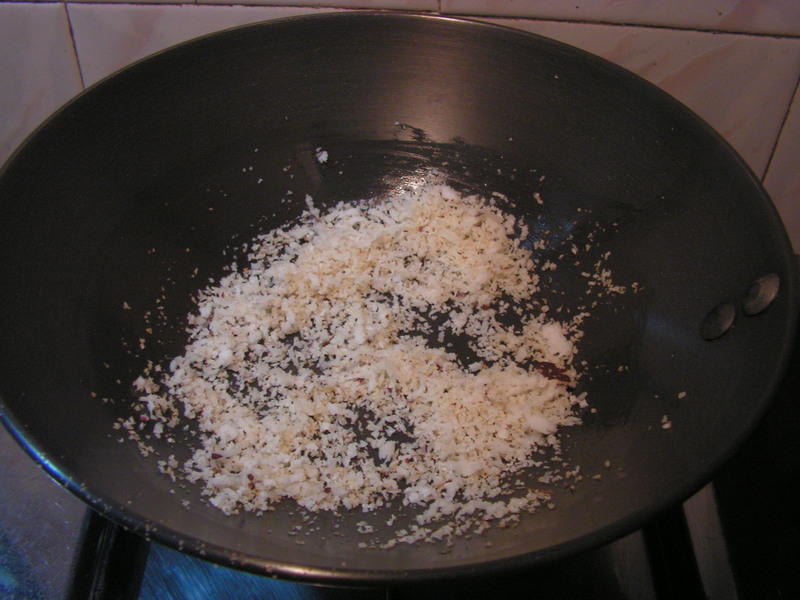 So also fry grated almonds till done . Peal cardamom and powder it. 5. 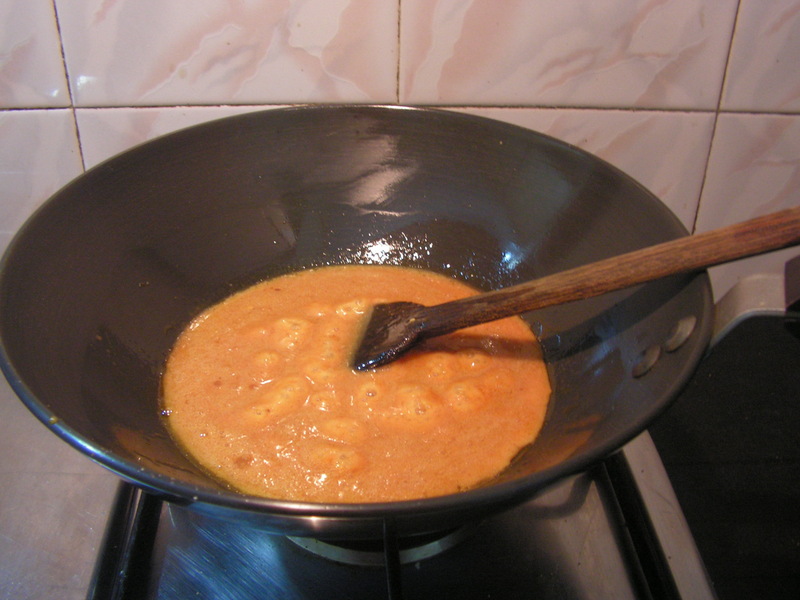 Place a skillet with 1 teaspoon of pure ghee in it on medium flame. 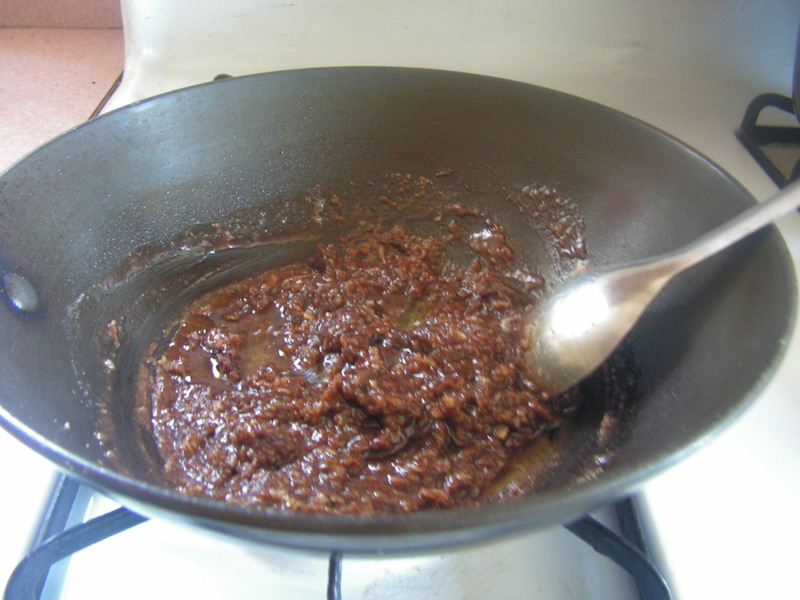 When it melts add chopped jaggery into it. Also add the required quantity of water and keep stiring for a while. 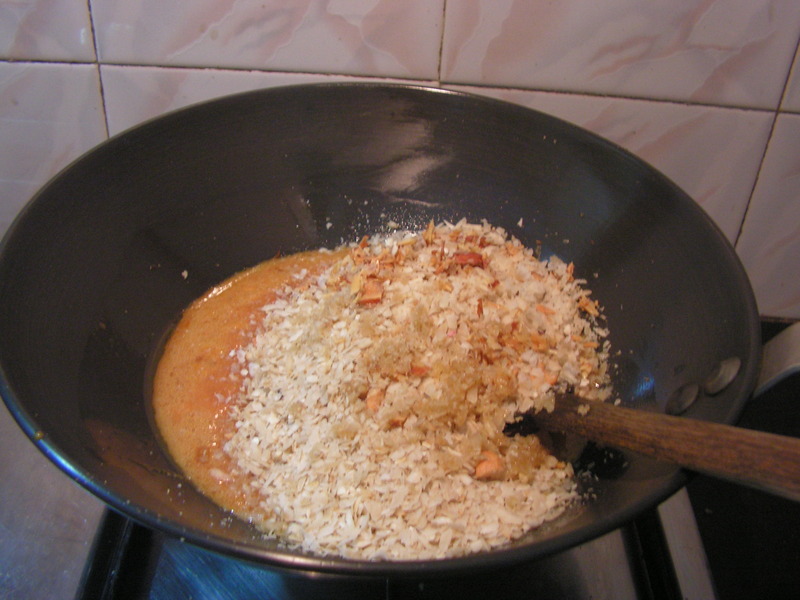 When the syrup turns to a firm drop consistency (a little more than 1 string consistency) add the whole burfi mix to it and give strong stir with the wooden spatula. Note: 1. 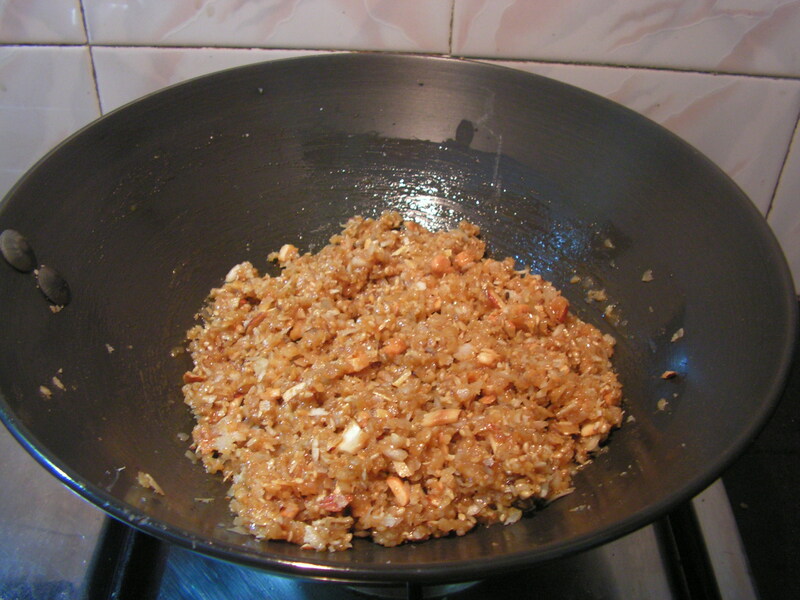 Use fresh stock of beaten rice /rice flakes for the dish. 2. 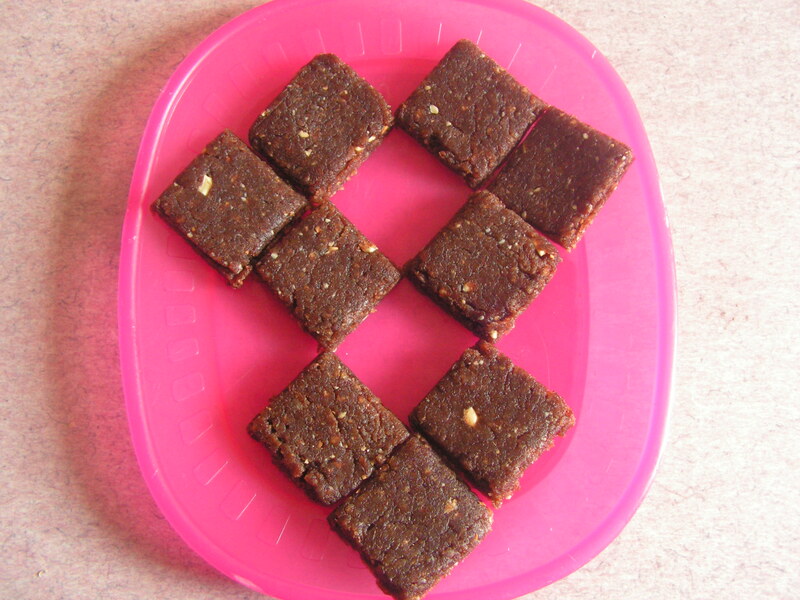 Use chikki jaggery as it contains edible gum and well suited for the dish. 3. 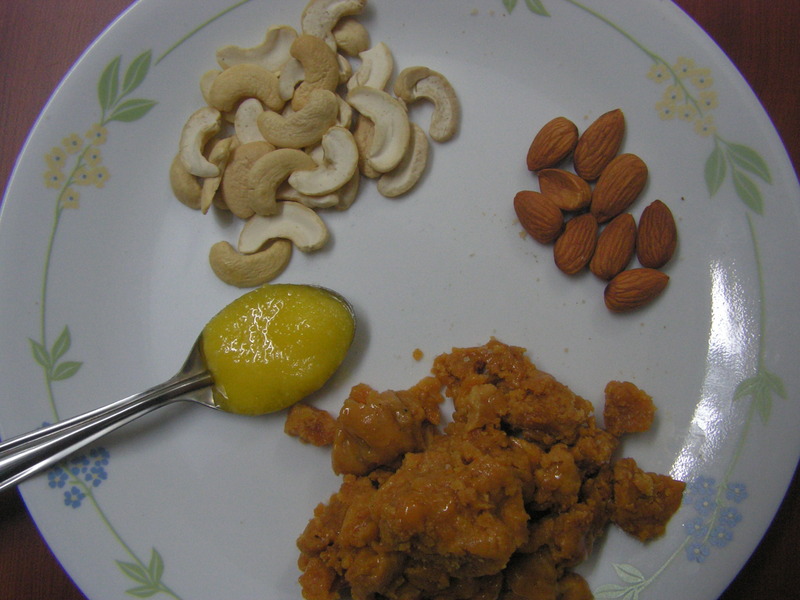 Dry fruits of your choice other than raisins may be used. 4. 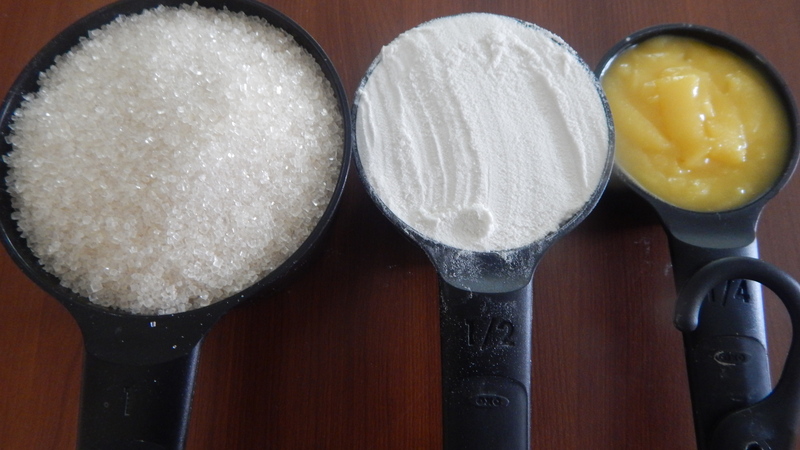 The jaggery syrup should be little more than 1 string consistency. It should form a firm drop when dropped in water. 5. Store in air tight containers and will be afresh for about a fort night. 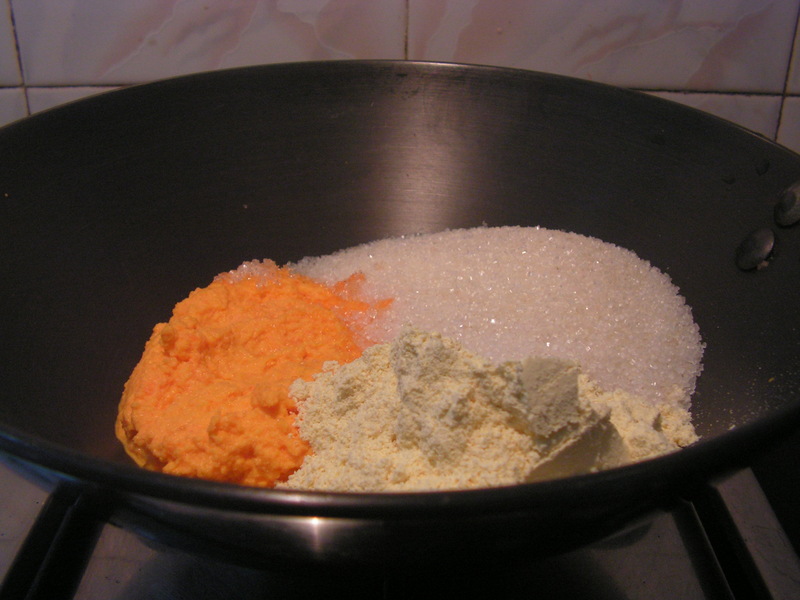 This entry was posted in Uncategorized and tagged Burfi, Festivals, sweeets. 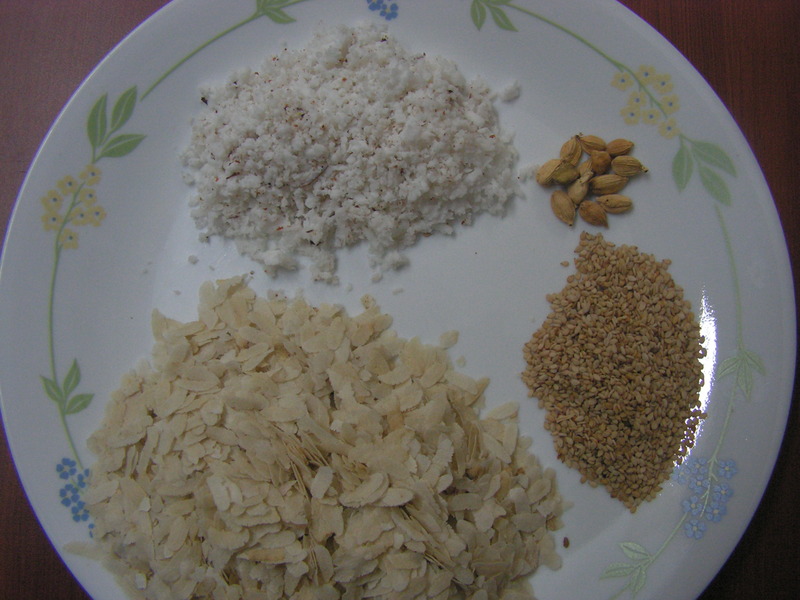 Ash gourd/Winter melon/Kumbalkayi and Kuvale. We prepare a lot of dishes like Kuvale Sasam, Ash Gourd Coconut gravy, Juice, Puli which I have already put up and burfi which is what I am putting up here. 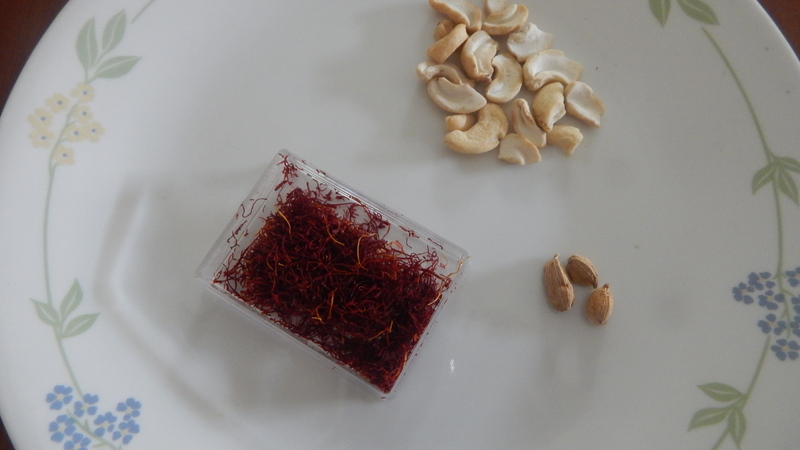 This sweet is one of the most popular wedding snacks in my part of the world. 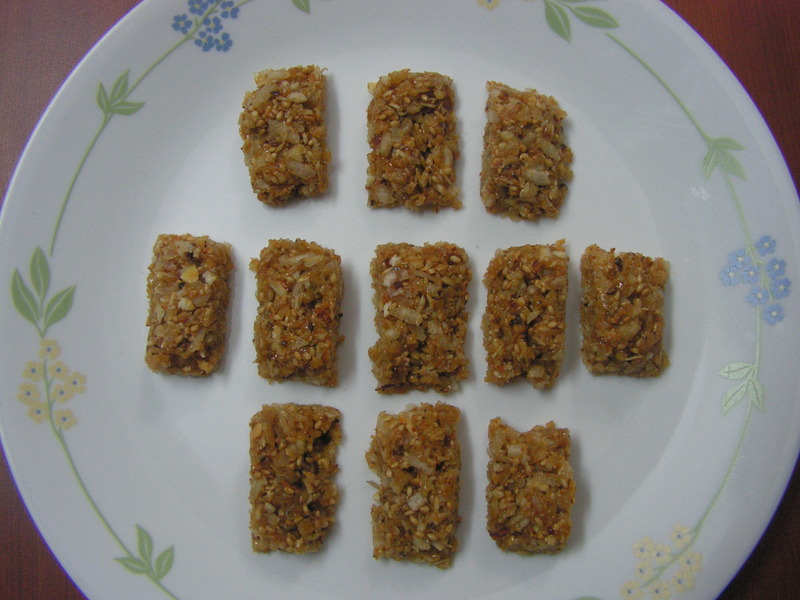 Its also available in almost all the sweet stalls in and around Mangalore/Manipal though not quite so in other places. Its a bit time consuming to prepare and if you have the time, I tell its worth it. 1. Wash, peal and grate ash gourd and keep it aside. Squeeze it and keep the juice aside. 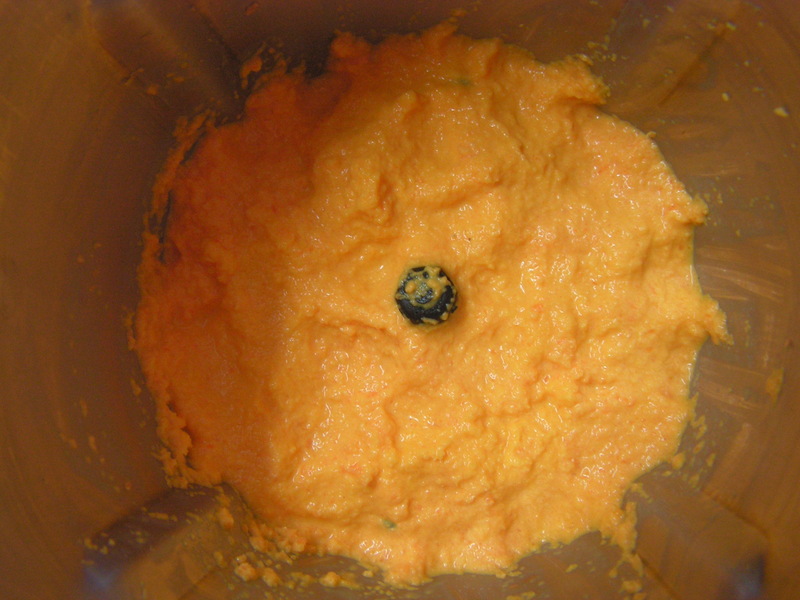 Run the grated gourd in the mixer/blender to grind it to a smooth consistency. Transfer the ground ash gourd to a skillet with its juice and put it on medium flame and keep stiring adjusting the flame. 2. Cook it on the flame till all the juice evaporates. 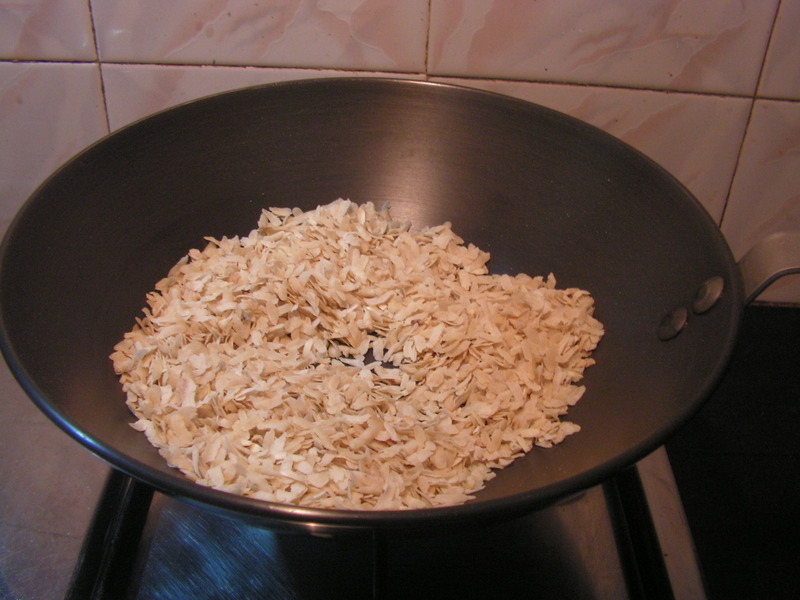 Measure the cooked gourd and normally it will be about half the quantity of the original grated Ash gourd in volume. (1 and 1/2 cups ). 3. 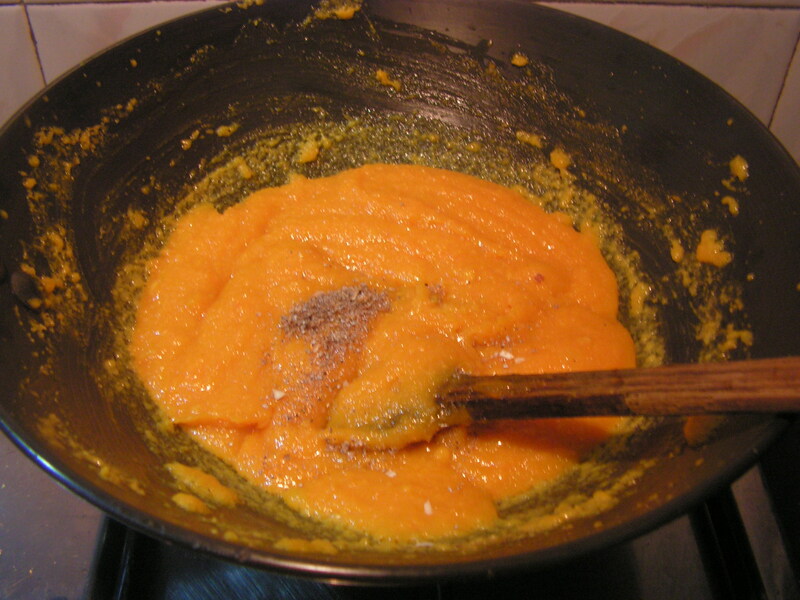 Add 1 and 1/2 cup sugar, 1 teaspoon turmeric powder , 2-3 teaspoons of pure ghee and place it on medium flame again. 4. 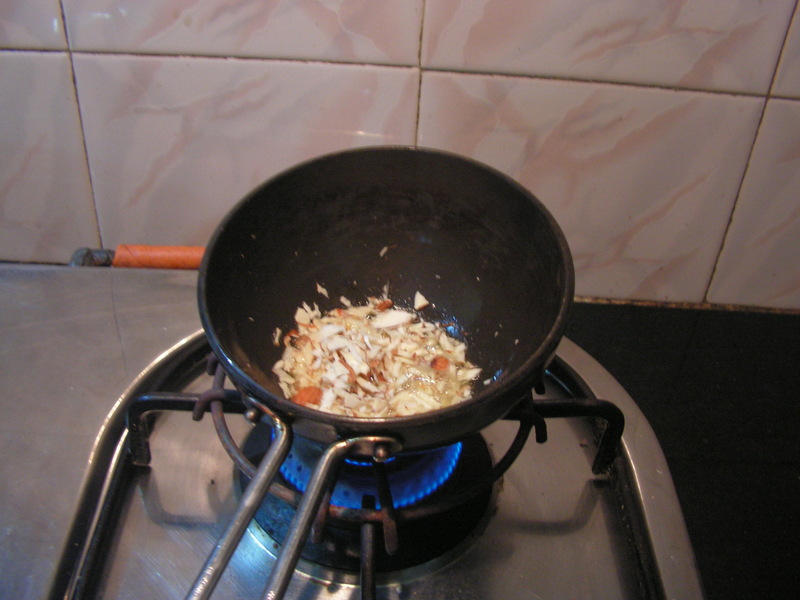 Cook it adjusting the flame and add grated dry fruits to it. 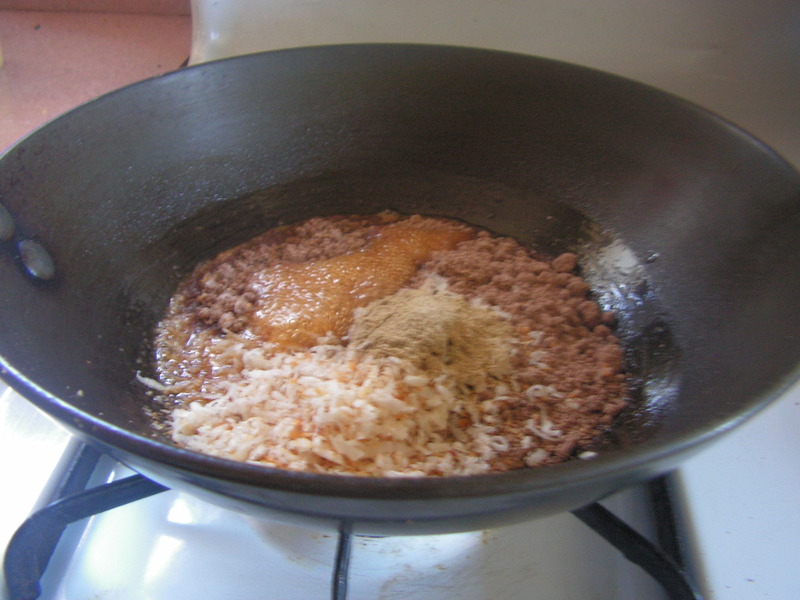 Add ghee as well in between and cook till it leaves the side of the skillet. 5. 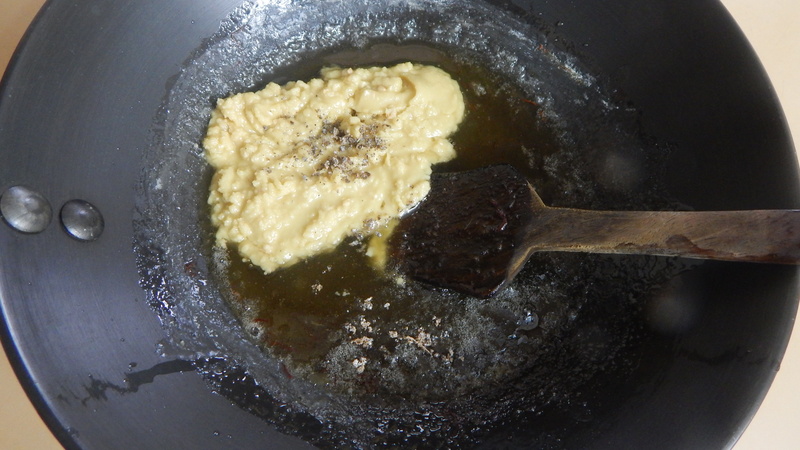 Grease a tray with pure ghee and spread the mix on it. Flatten it and cut it into required shape and size. 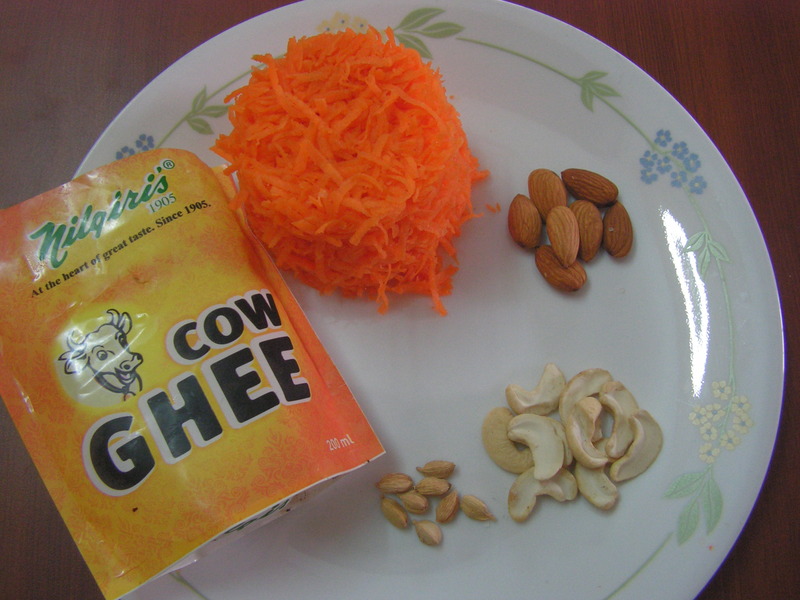 This entry was posted in Uncategorized and tagged Burfi, Festivals, Sweets. 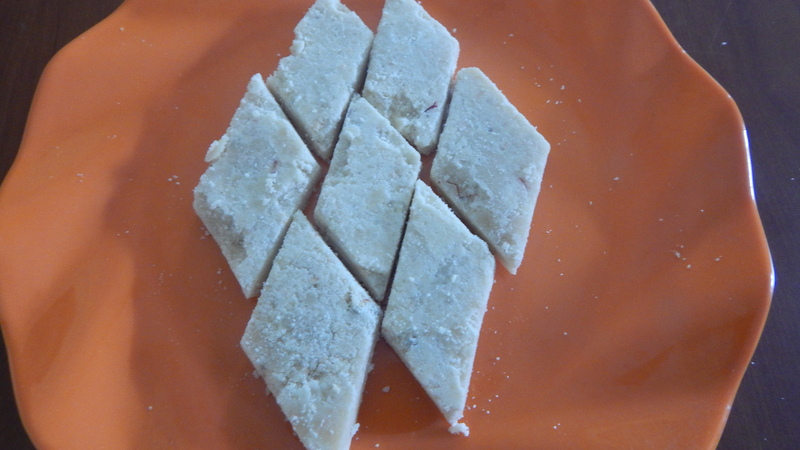 Mixed Atta Burfi – Post no. 300 ! And so here comes Mixed Atta Burfi. 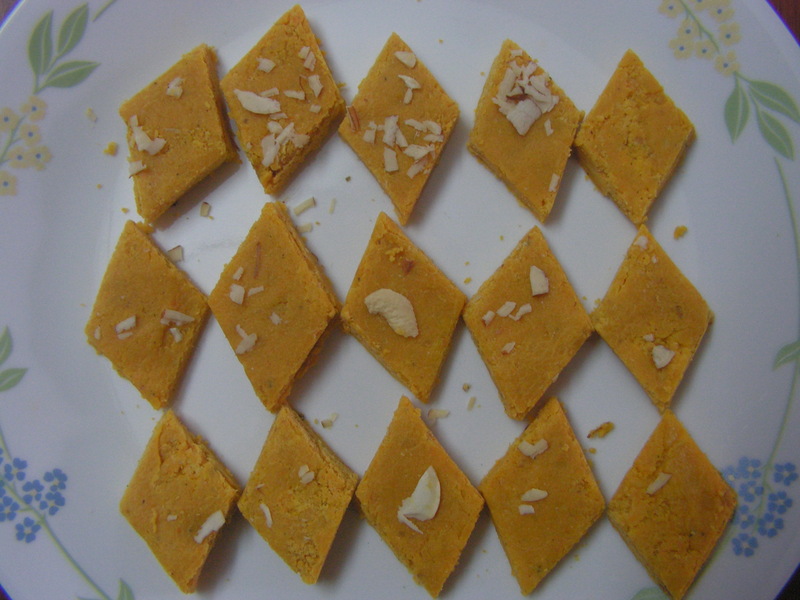 This is the 10th variety of Burfi I am putting up on this blog after – Sesame burfi, Milk burfi, Almond burfi, Seven cup burfi, Maida-suji burfi, Besan Burfi, Tomato Burfi, Coconut Burfi and Peanut Burfi ! 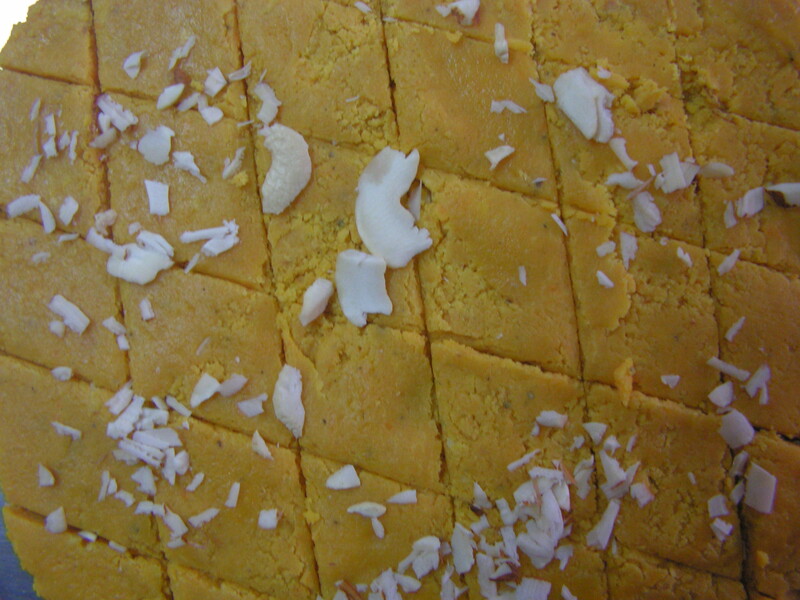 This is a very simple burfi though which I learnt from my Gujrati friend back in Assam over 17 years ago. 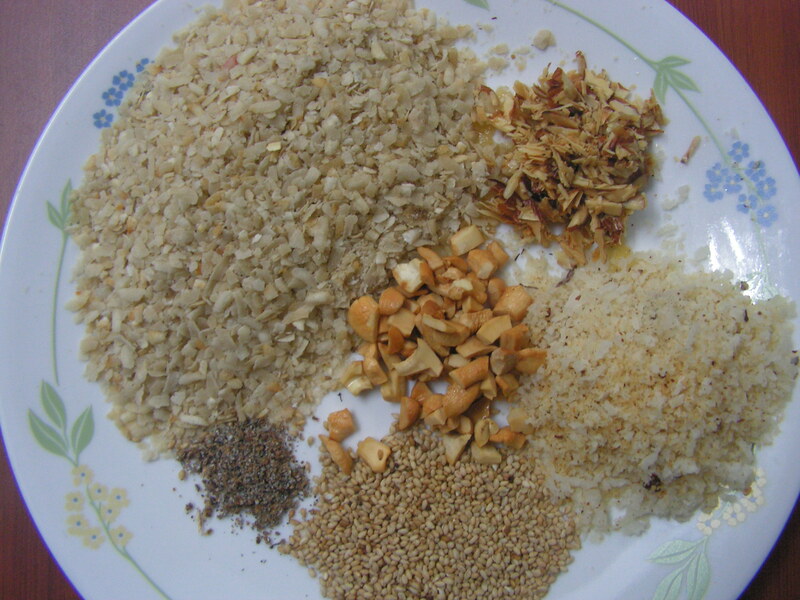 It is made of a mixture of both wheat atta and chickpeas atta with a bit of roasted peanut powder, jaggery and pure ghee. As you read above, this is the 300th recipe on this blog. Thanks all for keeping me going all this long ! 1. Sieve both the atta in the atta siever separately and keep aside. 2. 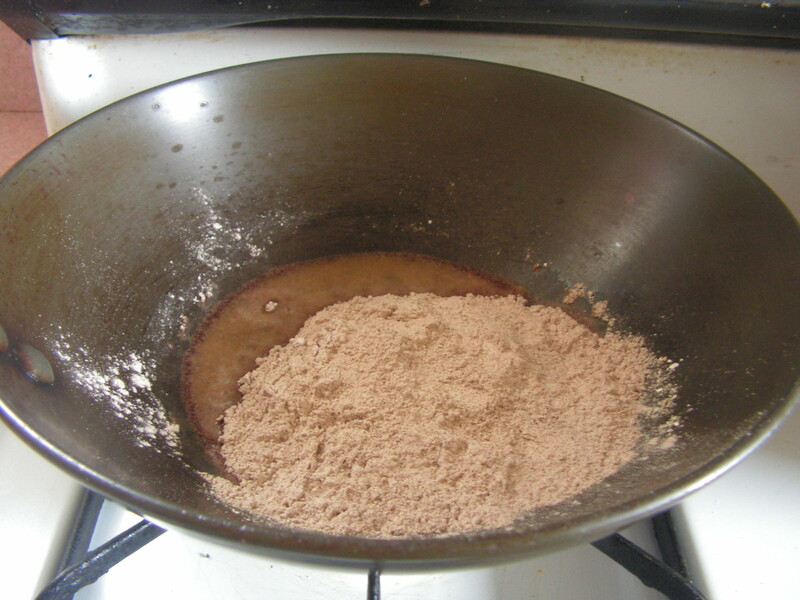 Place a skillet on medium flame with wheat atta in it. Keep stiring till you get a pleasant aroma. Make sure you do not burn it since you dry roast it. Transfer it to a newspaper to cool down. 3. Place the same skillet on medium flame and roast chick peas atta in it till you get a pleasant aroma. Transfer elsewhere and let it cool. 4. Roast peanuts till you get a pleasant aroma. 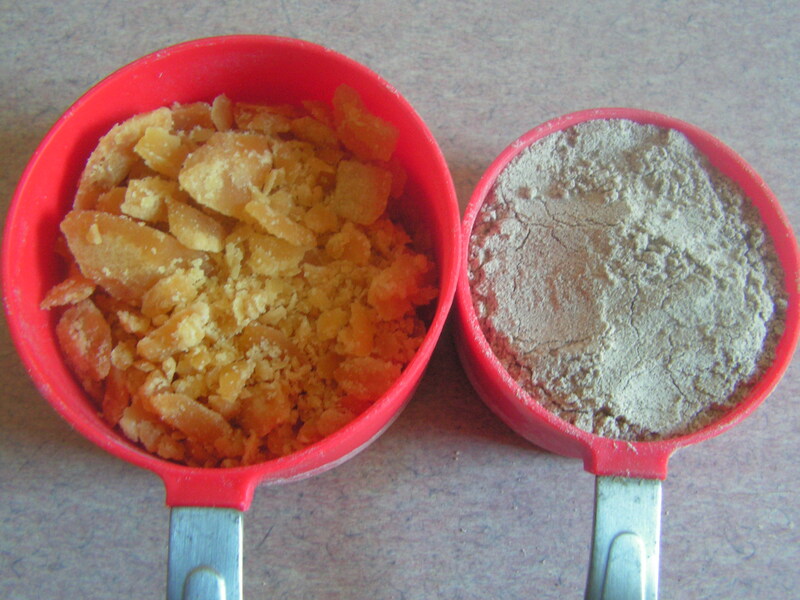 On cooling, peal and powder it in the mixer to a medium coarse consistency as shown in image 1. 5. 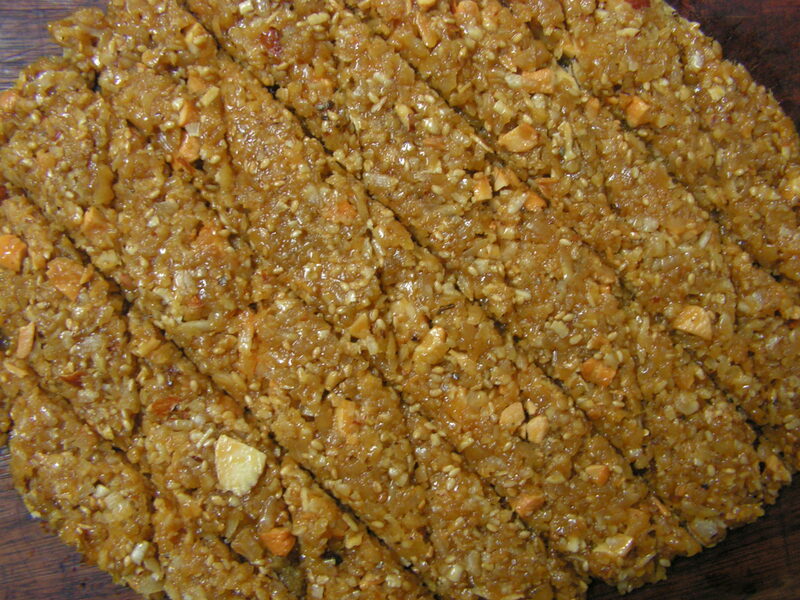 Chop jaggery. Peal and powder cardamom as well. On cooling mix both the atta with your hands. 6. 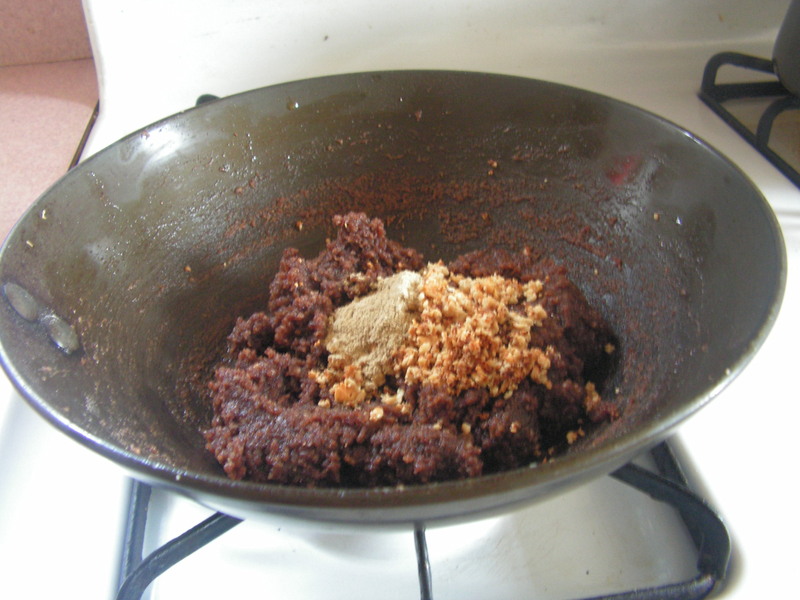 Mix chopped jaggery from step 4 to the atta mix from step 5 with your hands in such a way that it gets mixed well. 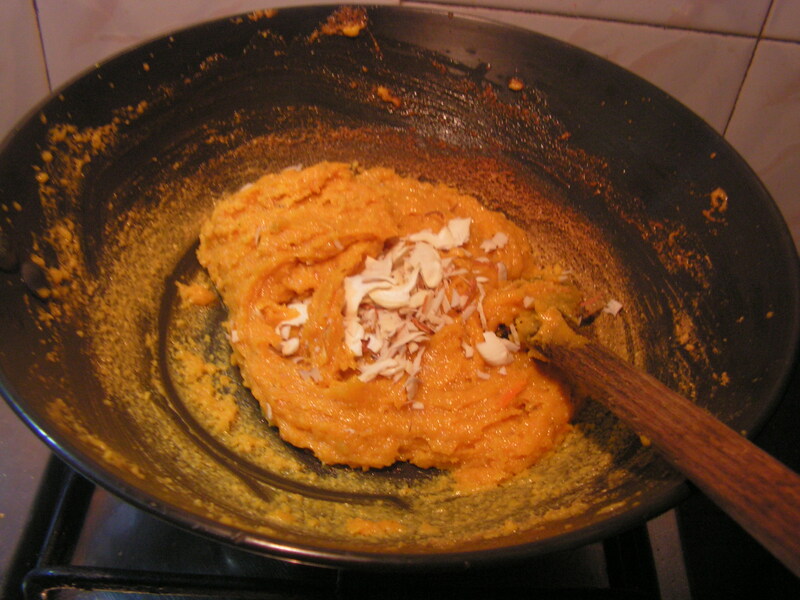 Add peanut powder and cardamom powder from step 4 to it as well. 7. 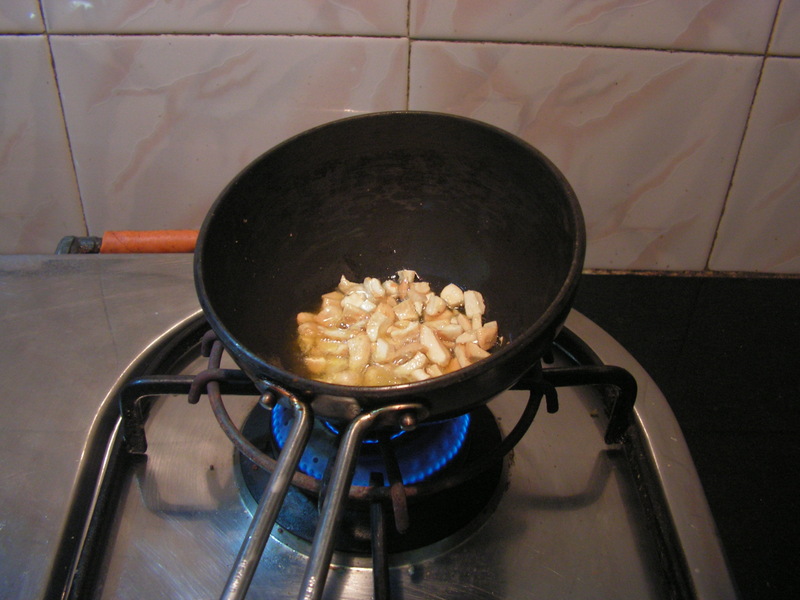 Place a skillet with pure ghee in it on medium flame. Allow it to heat well. 8. 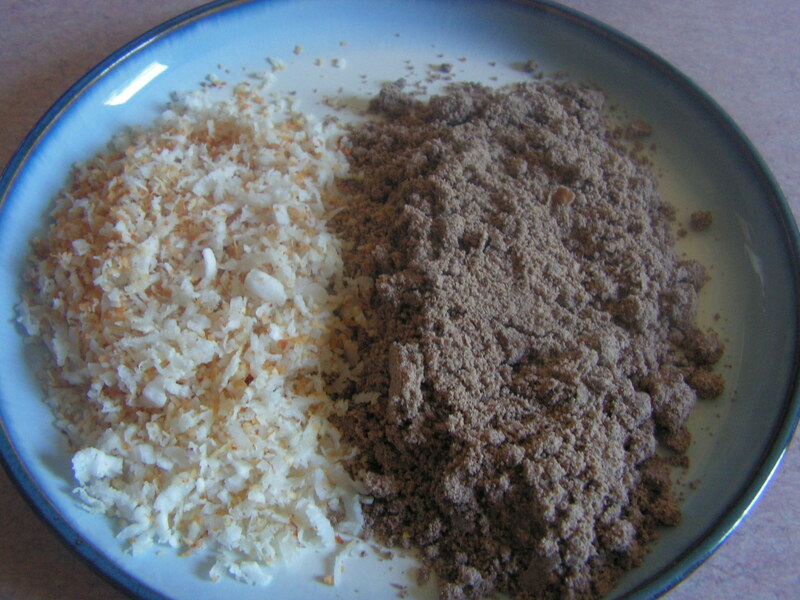 When it smokes add the atta-jaggery-peanut mix from step 6 to it and switch off the flame immediately. 9. 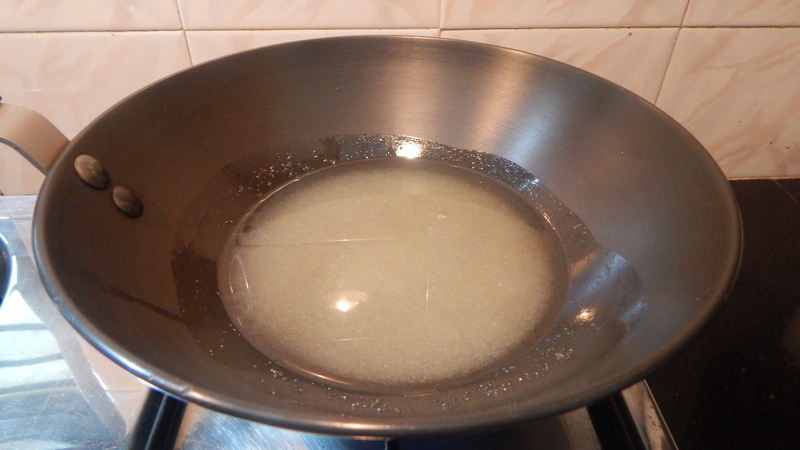 Grease a plate with ghee and pour in the mix and mark it with a knife to required shape and size. 10. 0n cooling store it in airtight containers and it will remain fresh for more than 15 days. 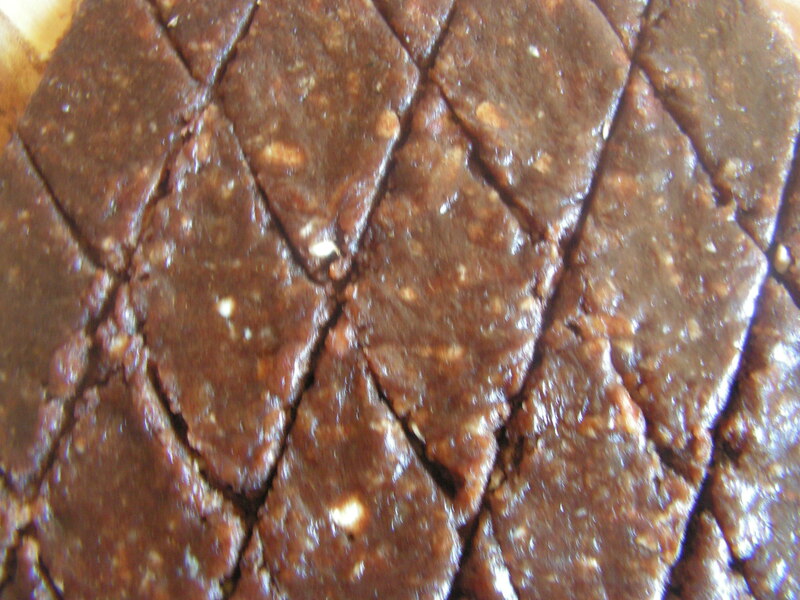 This entry was posted in Uncategorized and tagged Burfi, Sweets.